Mark your calendars for this educational family-friendly event! 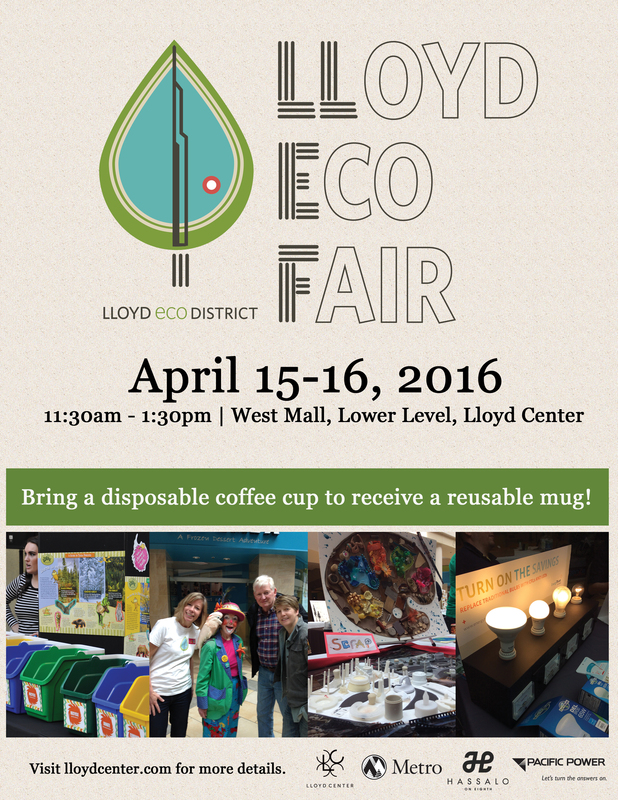 In celebration of Earth Month, Lloyd EcoDistrict is organizing the second annual Eco Fair in the Lloyd District. We’re teaming up again with the Lloyd Center to bring together local businesses and organizations for a two-day event to promote sustainable practices in our community. The fair will feature fun activities for kids and adults, DIY workshops, and information about innovative community resources. Let’s show what makes the Lloyd District a great place to live, work and play! Sign up today to sponsor or participate! 24 vendors, ranging from green products to energy efficiency resources to alternative transportation including Car2Go, TriMet, Hassalo on 8th, Pacific Power, and Portland Pedal Power.